A recent study by Custora came up with some findings that show us the current state of online marketing. Organic search traffic is still the lead dog in online lead generation, with an estimated 16% of all online customers coming in through organic searches. Second is Pay Per Click Advertising, coming in at around 10%, and third is Email Marketing at 8%. 8% might not seem like a huge share, but get this: this time last year, it was at 2%. By contrast, PPC has essentially stagnated, falling down and bouncing back up to 10%. If this trend continues for even three months, email will surpass PPC to claim a spot as the world’s second most effective online marketing tool. This might surprise you because email is an older technique. In marketing circles, we’re always looking for the way of the future. However, right now, the way of the future is through the application of modern SEO and marketing methodologies to the comparatively ancient medium of email. 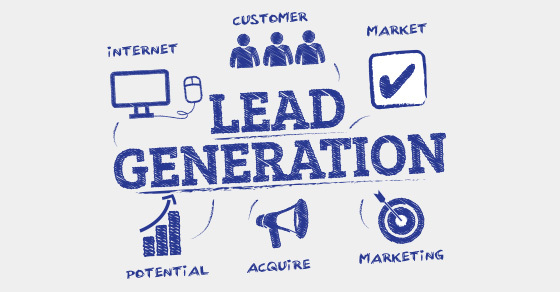 Twitter customers have the lowest lifetime value of any major lead generation system, at around 23% below the average for all lead generation methods. By comparison, Facebook leads are about average, email is 12% above average, and organic search traffic is a whopping 54% above average. Why Twitter has such poor performance is unclear. It is possible that the ease of following multiple brands means that users who engage on Twitter are less likely to commit to a company as a long-term customer. This doesn’t exactly mean that Twitter marketing should be abandoned. However, it does suggest that Twitter marketers should assume that each Twitter lead will only produce roughly 75% of the value of a Facebook lead, and roughly half the value of an organic search lead. Marketers should plan accordingly to avoid spending too much on low-value Twitter lead generation. Rural Americans are the #1 demographic for most online purchases. This is not surprising. Rural Americans have dominated all forms of remote purchasing since the days when people used Sears catalogues for something other than a doorstop. What is surprising is the degree to which rural America is a superior market. Wyoming and Idaho are both home to customers who have an average lifetime value almost 20% above the mean. This is enough to seriously cause marketers to reconsider the value of their urban ads. The exception is in fashion industries, where urban coastal cities are still bringing their A game. There have been some shake-ups in paid advertising, but Pay Per Click is still the clear choice. Strangely, banner marketing has made a comeback, increasing its share of generated leads by a factor of 46. However, banner marketing and pay per impression are still much too low to be a serious contender. Pay Per Click is popular for a reason. It gets you lasting customers. Referral was booming a few years ago when everyone used social media to set up what were basically circular massage trains of referrals. However, right now referral barely has a higher market share than it did in 2010. This is a little unfortunate, because referral customers tend to have amazing lifetime values, at 26%. This could be happening because people are worried about spamming referral links in the post-Penguin world. Or, it could be happening because we’re reaching a saturation point, where everyone is already swapping referral links with everyone they know. At any rate, it looks like we should all be working harder to keep pushing for referrals.